For close to three months DVD drive of my laptop has not been functioning properly , it fails to read burned DVD's and CD's properly. Now since we have wonderful LAN in the university where i am studying, I never cared about getting the DVD drive fixed. However a few days back as i was tweaking something on my system I inadvertently corrupted partition table of my laptop hence i was stuck with a laptop without MBR to load operating system and no way to install operating system (Windows or Linux ) as both the operating systems were on DVD and i had a non functional DVD drive , and to make situation worse when i called Lenovo dealer here in India they told me fixing DVD drive(My laptop is still under warranty) could take as much as 14 days. Now i knew it was possible to boot computer through a USB Pen drive , however i had never tried installing Linux/Windows on a pen drive. Using Google i came up with a solution to installing Linux on a pen drive , which i have tried documenting in my article here. 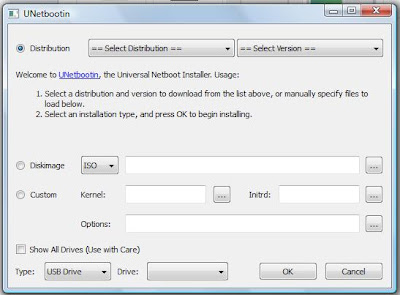 Universal NetBoot Installer(UNetBootin) is a tool that allows you to install a number of Linux distributions either on a USB Pen Drive or on a hard-disk partition. UNetBottin is available both on the Windows as well as the Linux platform. 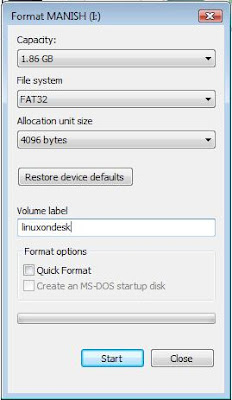 In this article i am using UNetBottin for Windows. 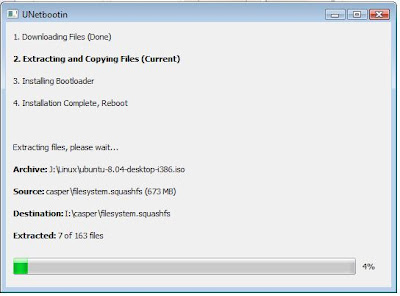 First, we need to download UNetBootin which you can do so from the following website : http://unetbootin.sourceforge.net/ . Now, once you launch UNetbootin you will find a dialog box similar to one shown above . 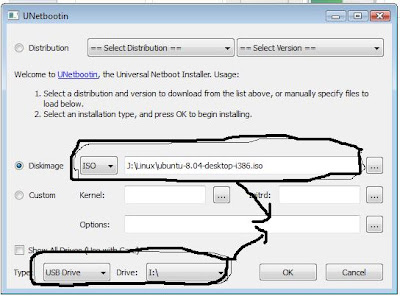 If you want to allow UNetbootin to download files for the distribution automatically from the internet then in the drop down box at the top of the dialog box chose the distribution and it's version that you want to install . UNetbootin would then download relevant files from the internet of that distribution , however keep in mind most linux distributions are gigabytes in size hence don't try downloading from the internet option unless you have a really fast broadband connection. 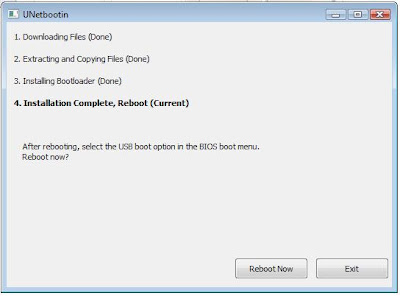 Once installation is over reboot the system , go into the BIOS and change the boot sequence to boot from USB drive if it is not configured already. If everything went right you should be able to boot from the USB drive.